Access an interdisciplinary team of experts in the disorders and injuries that affect your child’s brain, and receive personal, compassionate care for your child throughout all stages of their development. Find researchers and specialists focused on disorders of the brain, spinal cord and musculoskeletal system. Discover our professional training programs that develop leaders in the fields of neurological and developmental disabilities. Landon, who has cerebral palsy, has never let his physical abilities slow him down. Discover how Landon has gone on to become a decorated athlete, as well as one of the Institute's most dedicated fundraisers, in the Fall/Winter 2018 edition of Potential. 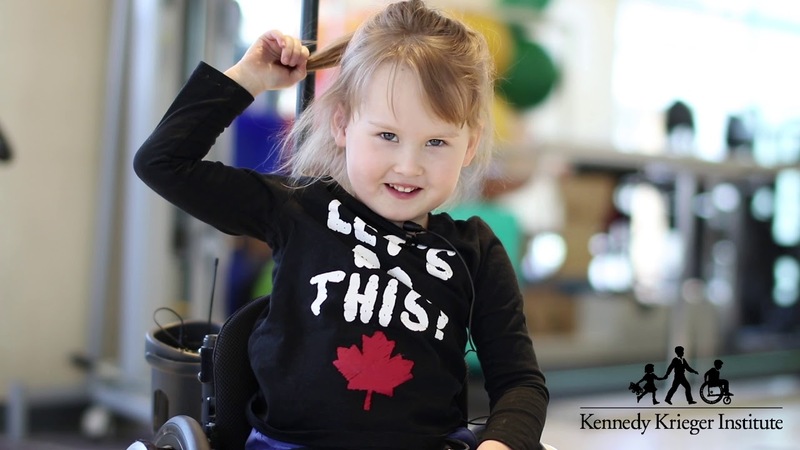 4 year old Julia has a unique bond with 24 year-old Kristen McAllister that inspires her to never give up hope.